The story of Hayley Wickenheiser is quaintly rural Canadian and one the community of Shaunavon is proud to have played a part in. It was just like hockey mania. Those are the best memories that I have. A lot has changed since those days, most notably an illustrious career that has taken Wickenheiser around the world and prompted her home community to recognize her accomplishments in a multimillion dollar way. 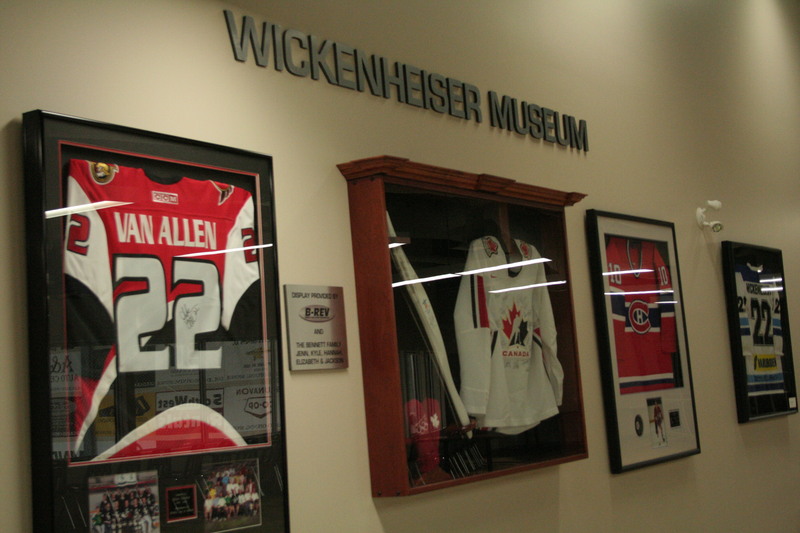 The arena complex in Shaunavon houses a small collection of Wickenheiser memorabilia. A committee is currently tasked with creating and dedicating a larger and more permanent space within that facility. 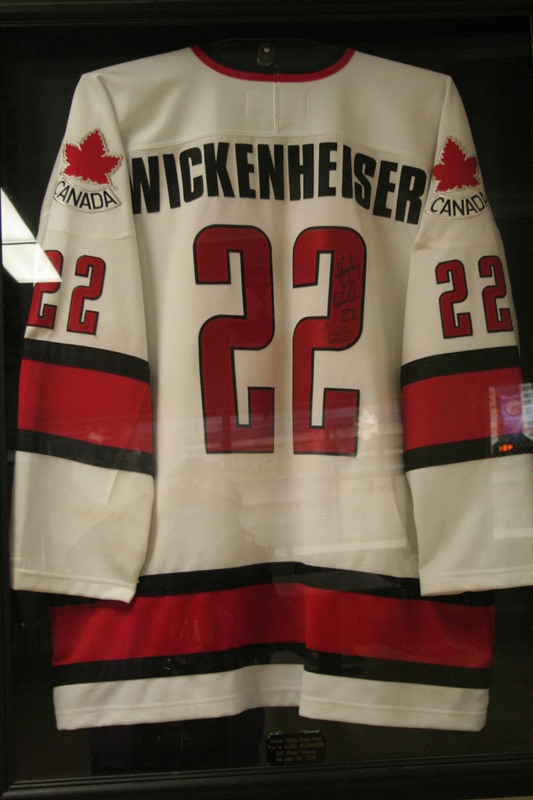 One of Wickenheiser’s Jerseys is hung on display at the sportsplex in Shaunavon. For nearly 20 years Hayley has been making hockey history and repeatedly taken a sledgehammer to many of the stereotypes that continue to surround female athletes, particularly hockey players. 1994 – At the age of 15, she became the youngest person named to Canada’s Gold-winning National Women’s Team and has remained a member ever since. Since then, she celebrated in 1998 when Team Canada won the Olympic Silver and Gold. 1998 – She became one of “Top 100 Most Influential People in Hockey,” according to Hockey News. 1998 and 1999 – She attended the NHL’s Philadelphia Flyers rookie camp. 2000 – Hayley played with Canada’s National Softball Team at the 2000 Summer Olympics in Sydney, Australia. She became the first woman athlete to compete in both the Summer and Winter Olympics while playing team sports. 2003 – She received placement as one the “Top 50 Most Powerful Women in Canada,” according to the Globe and Mail. 2003 – While playing Hockey in Finland, she became the first woman to score a goal in a men’s professional league, once again making history. 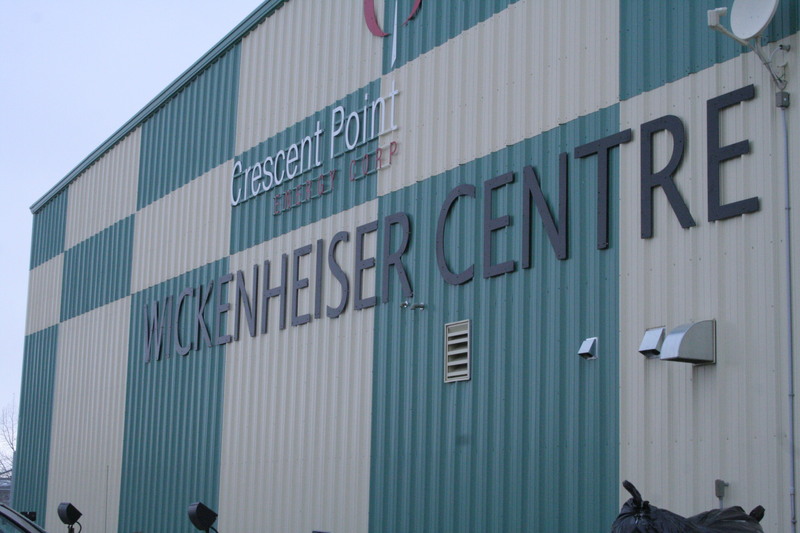 2006 – The Arena complex in Shaunavon was renamed Wickenheiser Place. (It is currently known as the Crescent Point Wickenheiser Centre (CPWC)). 2009 – Haley reaches another mileston and played her 200th game with the Women’s National Team. 2011 – When appointed with the Order of Canada, in recognition for her exceptional achievements as an athlete and for her contributions to the growth of women’s hockey, the 32-year-old athlete was in Ghana visiting Right To Play programs as an Athlete Ambassador to the organization. 2012 – An opportunity presents itself to increase her exposure to young people and inspire young female hockey players when EA Sports’ NHL 13 depicted her as one of the first female characters in a professional league sports video game. 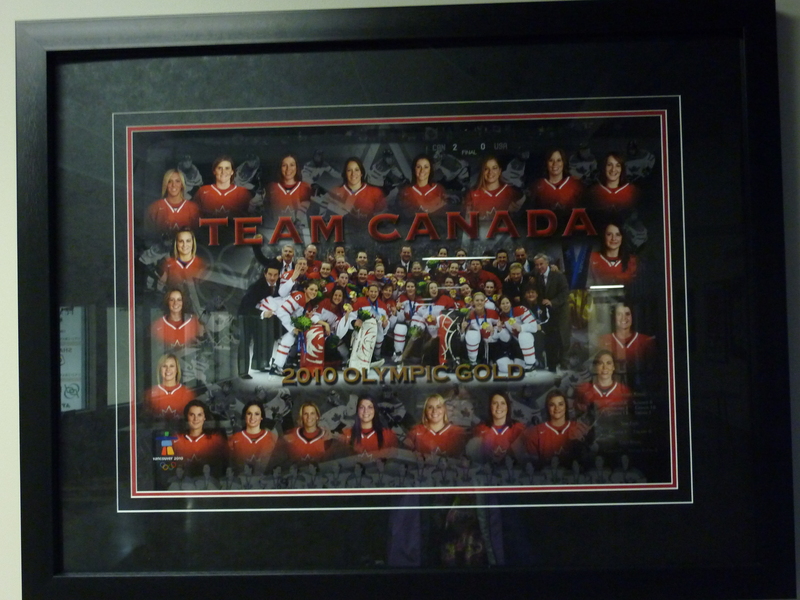 The 2010 Team Canada Olympic Gold Medalists team photo on display at the Crescent Point Wickenheiser Centre. 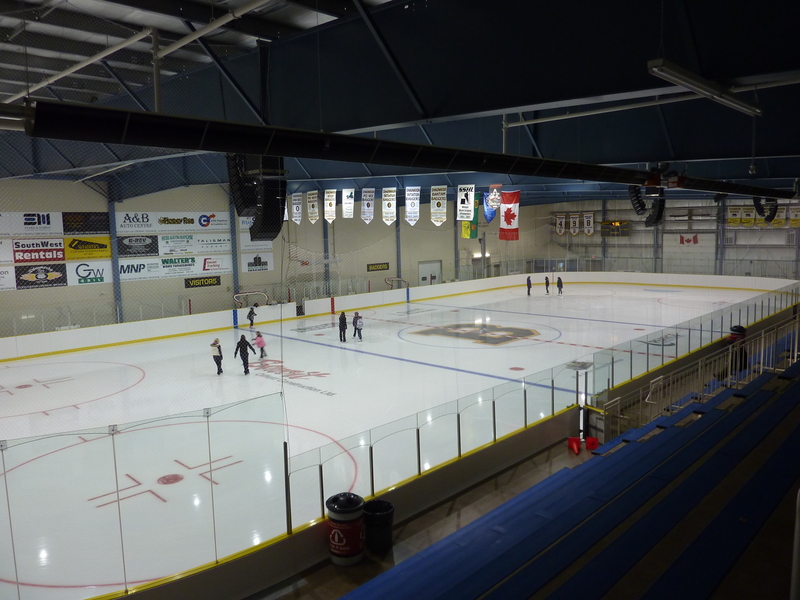 The Town of Shaunavon hopes that the new rink facility will continue to allow hockey and other ice sports to be a vibrant part of their community’s future. Whether you are attending a day of “Hockey Mania,” in Shaunavon or just driving through, take a few moments to stop at the Crescent Point Wickenheiser Centre and tour the display they now have celebrating the hockey achievements of the Hometown, Provincial and National Hockey hero. The Wickenheiser Museum is very informal now. However, a committee has been struck to further develop the area. A collection of sports memorabilia is on display at the Crescent Point Wickenheiser Centre. You are in luck! This is a brand new facility, the washrooms have plenty of stalls and they are clean and modern. Shaunavon is located on Highway 13, 100 km West and South of Swift Current (50 km south of the Highway 1 and 37 Junction at Gull Lake). The Crescent Point Wickenheiser Centre is located at 201 7th Avenue W. It is most easily accessed by 10th Avenue (the first intersection when approaching from the North). Then turn right at 4th Street West before turning left at 7th Avenue. The recreational facility is located next to the high school. If you aren’t in town for a day of Hockey Mania it may be best to phone and confirm the facility is open to public access. You can also “friend” the facility on Facebook. If you are too far from Saskatchewan to #GoHere maybe you want to #GoHere instead: The third annual Wickenheiser International Women’s Hockey Festival is taking place again in Burnaby B.C. from November 15th – 18th. Or check out everything Wick related at www.hayleywickenheiser.com and learn more about this inspirational mentor for both young girls and athletes of all stripes.